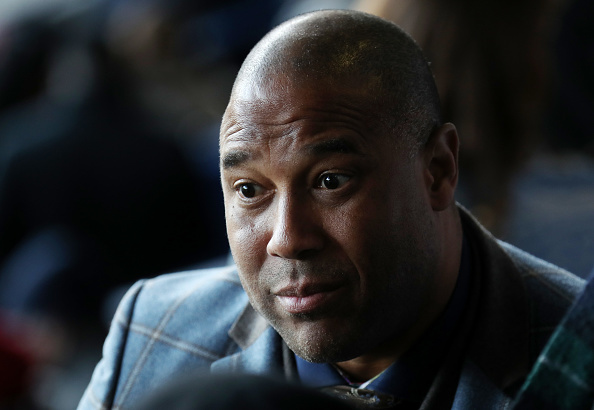 Former Liverpool and England footballer John Barnes has revealed that he would "love to meet Tommy Robinson". Appearing on the Matthew Wright show, Barnes said he would like to meet the controversial political activist to find out "why he feels the way he does". "I would love to meet Tommy Robinson to find out exactly why he feels the way he does, because there's a reason for it," he said. "He hasn't just woken up and thought that way, something has shown him that. This is what society has showed him that there are certain groups of people who are more worthy than others. Wrongly showed him. That is what we have to tackle." Barnes appeared on talkRADIO to discuss racism in football, following footage of Manchester City striker, Raheem Sterling, being subjected to alleged racist abuse by Chelsea FC fans. "We need to stop fighting racism in football and start fighting it in society, we're doing it the wrong way round. As long as it exists in society, it will exist in all walks of society of which football is one," Barnes said. "We have to stop just compartmentalising football or the police, or any industry that would feel racism and say it is a problem in society. All football fans are members of society." Jamaica-born Barnes experienced racism first-hand, and had a banana thrown at him on the pitch during a game at Everton in 1988. "At football stadiums players do get abuse. The majority of players who aren't black don't get abuse because of their colour," he said. "It's a problem in all walks of society but because football is media attentive we just absolve ourselves of responsibility to look at ourselves and say 'football's problem'."